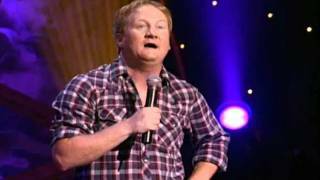 Jon Reep is a nationally touring comedian whose contemporary country point of view has won over legions of fans in comedy clubs, on tv and in film. As a stand-up he’s built a following through his hilarious comedy specials and winning appearance on Last Comic Standing. As an actor, he just wrapped a role in Tig Notaro’s Netflix Series One Mississippi and guest starred in an episode of Black-ish. He’s also appeared in Eastbound and Down, the feature film Into the Storm, and may be best known as “Raymus, the pot smoking farmer” from Harold and Kumar: Escape From Guantanamo Bay or as “Hemi Guy” from Dodge’s popular ad campaign.